Besides Chess for Android, I have been working on another project, which has been officially released today! 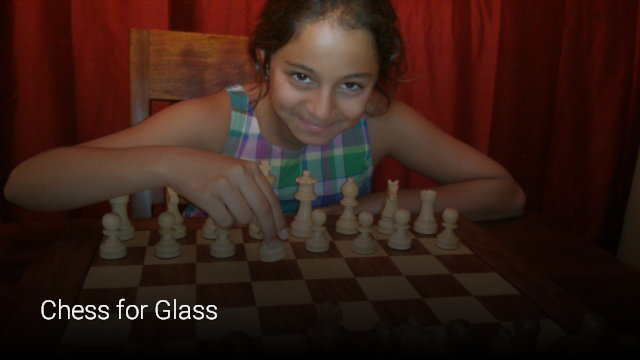 Chess for Glass is Glassware that runs directly on Glass. You can enter moves by simply saying the moves, or by using the touch pad. Other features include a choice in board color, spoken move announcements, and the ability to import any third party chess engine to replace the friendly built-in Java engine. Chess for Glass recognizes all Android Chessbase compatible engines that are installed on the same Glass device, and supports both the popular UCI and XBoard/WinBoard protocols.